Wealthy architect Reece Daughtry spent fifteen years in a Massachusetts prison for a murder he didn’t commit. Released on a technicality, he now makes his home in the mountains of North Carolina, building rock fireplaces for a waiting list of clients. His self-imposed solitude is shattered when local author Dana Minette asks him to build a fireplace in her new house. Dana becomes more than a client, and for the first time in twenty years, Reece longs to be with someone other than himself. Then a local woman is murdered in the same savage manner as the murder that sent Reece to prison. 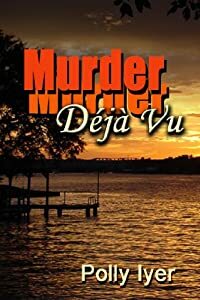 More than one person wants him to take the fall, including Dana’s ex-husband, the local prosecutor, who’s determined to convict Reece in the high-profile case. But Reece won’t be railroaded again. Four men were with him the night of the first murder. One of them is the killer. Reece goes underground to discover who’s setting him up and why. Dana insists on going along, and against his better judgment, he relents. With both the police and FBI on their trail, it’s a race against time and a crafty murderer who will kill again.